One of the great things about the blogging world is the spirit of generosity and giving which so many bloggers offer fellow bloggers. I’ve been honoured to be nominated for a number of awards and I’ve finally got organised to sort things out. I had a real job working out how to get the award images to pop up in my widgets boxes and initially this was due to the fact that, in the wake of a bad fall when my dogs tripped me up, I felt tired, very bruised and had the foghead common in fibromyalgia. I felt utterly overwhelmed by all the complexities of accepting these awards, but this week I suddenly clicked with how to get an image into the widget boxes and I was off and running. Cher who operates a blog at http://thechicagofiles.wordpress.com, who nominated me for the Awesome Blossom Award and the Lighthouse award. Cher writes about living in Chicago as a Canadian and I really, really enjoy her take on the city, it’s quirky, interesting and very humorous. 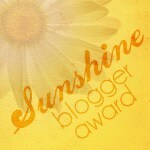 Irene, who operates a blog at and creates really lovely crystal jewellery at http://irenedesign2011.comy (right up my alley) nominated me for the Blog of the Year award as well as The Sunshine Award. 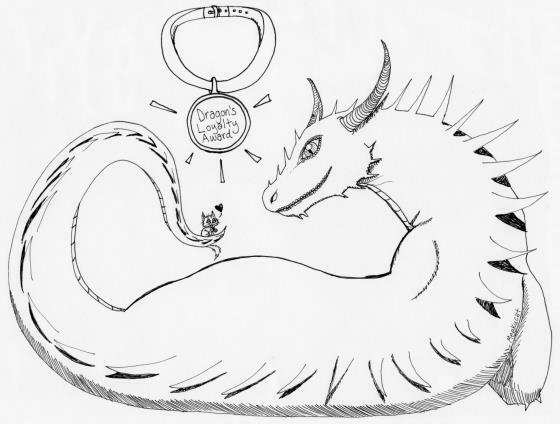 All the images are below so you can click and add them to your blog if you so desire. 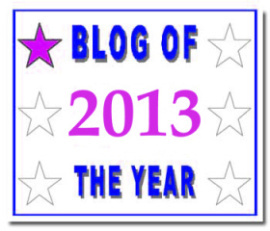 Finally one I’ve added myself to my blog, and I’ve joined the organisation is: Bloggers for Peace. I’ve been involved with the peace movement on and off and in various ways since 1974, not a bad record, and I certainly intend to keep working for peace on this blog. 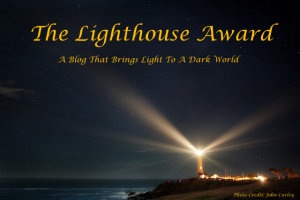 and to Arvin at http://dreampoetica.wordpress.com who also nominated me for the Lighthouse Award. I always enjoy the blogs from these lovely people, in fact I’m really pleased I started posting my artwork so regularly as in the process I’ve come into contact with some truly fine bloggers. I know I’m supposed to nominate a certain amount but, in order to cope with organising this post and the challenges of severe sciatic pain and sleepless nights, I’m simplifying things. 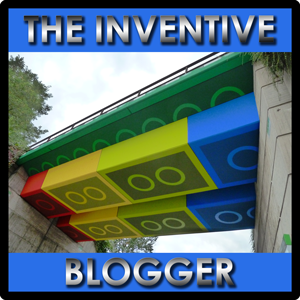 I’m nominating five blogs and I hope those mentioned pick their names in this post, plus I’m including info I mentioned in my book blog, so that I can complete this project and have a clear conscience! I realise some people don’t want to participate in the awards process so if you don’t want to take part, that’s fine, I won’t take offence or troll you or try to firebomb you or anything <grin>, each to his or her own. I haven’t nominated blogs which already have a bucketload of awards, although I still very much appreciate their presence i my life. 1. I offer advice, support and help if someone is in trouble. 2. I smile at everyone I meet as I remember the story (may be one of those rumours, but what the heck) of a man who committed suicide off the Golden Gate Bridge and when they checked his room, they found a note that if someone smiled he wouldn’t jump. 3. I give people hugs because hugs are great! 1. I was born with pigeon toes and my feet were in splints until I was 18 months old to force my ankles to turn out. Mum told me she was devastated until she visited the children’s ward and saw kiddies with feet turned backwards who’d have to have major surgery to correct their feet’s direction. 2. I loved visiting my mother’s parents as a kid as I could wander in woods and fields, even though it was near the centre of London. 3. I loathe animal cruelty. 4. I love cheese sauce on cauliflower or in macaroni cheese. 5. I have lost 2 inches in height as I’ve suffered back damage which is mortifying as now I’m much shorter than my husband! 6. I have written stories and articles all my life. 7. I am good at learning languages – French, German, some Indonesian, and a smattering of Turkey, but German’s my first love. 8. I graduated from Bradford University with a B.A. (Joint Hons), 2.1, in French and German interpreting & translation, French & German politics and economics. 10. I have lived in or visited or travelled through thirteen countries. I’m a firm believer in travel opening the mind to the fact that people around the world are pretty damned brilliant. Thank you very much, Lilian. The other blog belongs to another now. Thanks. Irene – thanks for comments and I’ve changed your link. No problems, Irene, sorry I got the link wrong in the first place. I did have this address in the beginning, but bought the name at WP, and a new has the other blogname now. That’s wonderful! You deserve every one!! Thank you, Mary, lovely comment!